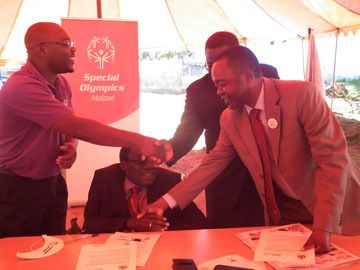 The Special Olympics Malawi (SOM), Southern Africa Federation of the Disabled (SAFOD), and Federation of the Disability Organisations in Malawi (FEDOMA) are planning to endorse the Lilongwe Declaration on Intellectual Disability at a signing ceremony which has been tentatively scheduled to take place on 4 June 2014 at the FEDOMA Complex in Malawi, to be graced by the Minister of Disability and Elderly Affairs. 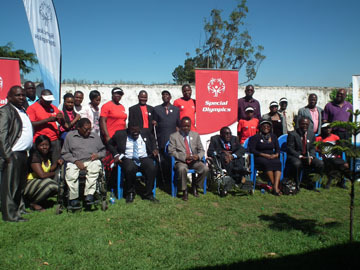 The event is meant to be a follow up to the successful African Leaders Forum on Intellectual Disability held in Malawi from February 9 to 11, 2014, which among other things called for enhanced networking & partnership-building amongst all the delegates that attended the forum. As the preparations for the event are underway, pleases check again this page soon for new update(s).